When most of us think of wedding venues, we might picture a vineyard, a church, city hall, or a beach somewhere. 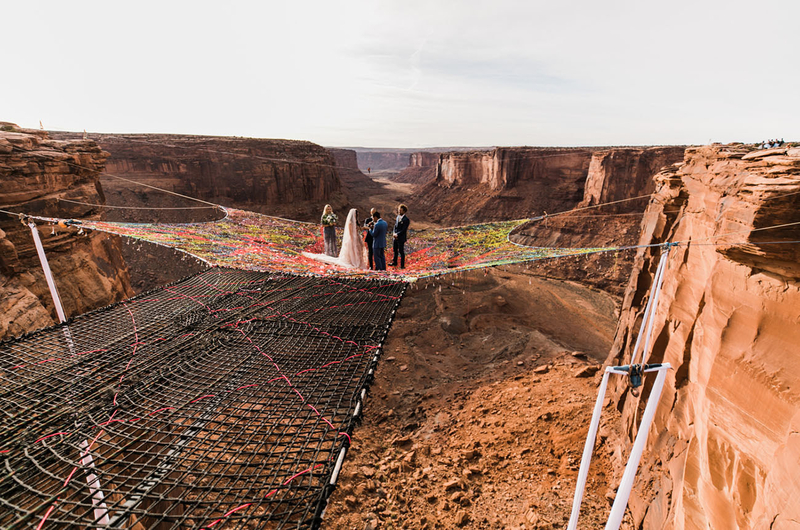 Suspended in matrimony — 40 stories high — OVER A FREAKIN' DESERT CANYON!! Like I said? Next level. 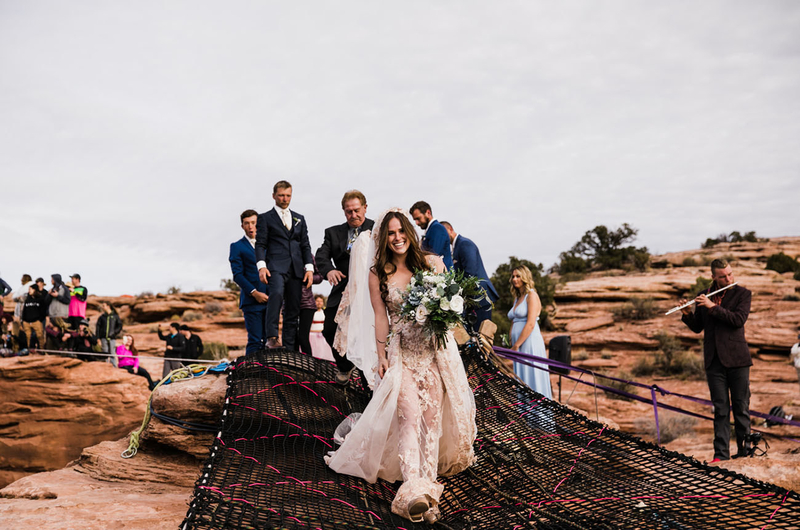 Kim's dad even walked her down the "spacenet aisle," which was suspended between the cliff and the main spacenet. "He even took a nosedive walking me out there, but took it like a champ!" Kim told GWS. "Instead of getting embarrassed, he started laughing, and everyone cheered him on and called to him until he got back up and finished walking out onto the net." They LOVE this sort of thing. "As dangerous as this all looks, safety is our number one priority, and the net is EXTREMELY strong," Kim told GWS. "Everyone on the net, including the aerialists below, were leashed in some way with a PAS (personal anchor system)." Ryan's best man, Andy Lewis, literally invented the spacenet, so he helped the couple figure out how to set it all up. For more details and photos, check out Green Wedding Shoes.